Services Offered - BUY. SELL. RENT. VACATION. We offer professional management services for long term rentals and will work hard for both tenants and property owners. Whether you are looking to buy the home of your dreams or sell your home, we are here to support you every step of the way. We manage a variety of vacation rentals in Kona. Whether you need help managing your property or need help locating the perfect vacation rental, we are here to help. 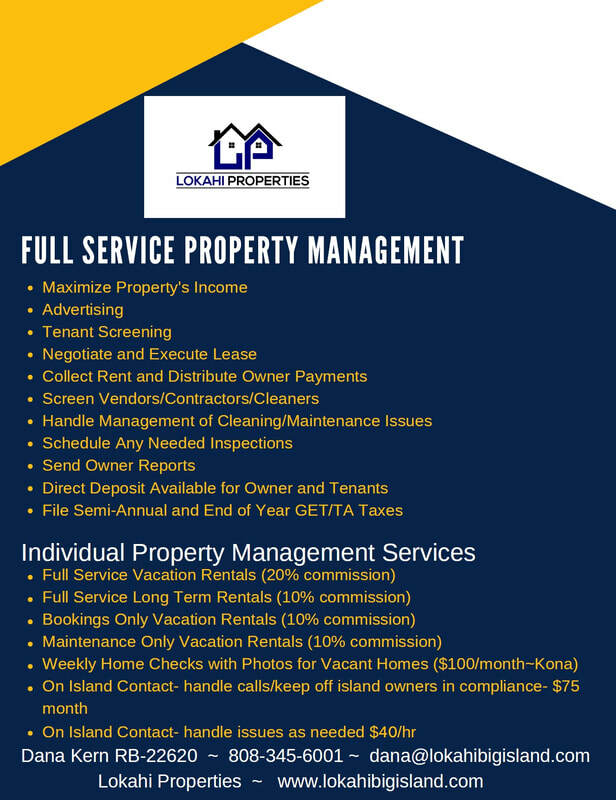 When you choose Lokahi Properties to serve you, you will always be treated with aloha. We are here for you. Our customers always come first, and we put your needs as our number one priority. We promise to always give 100% to you. We are dedicated to meeting your needs, and we are with you every step of the way.